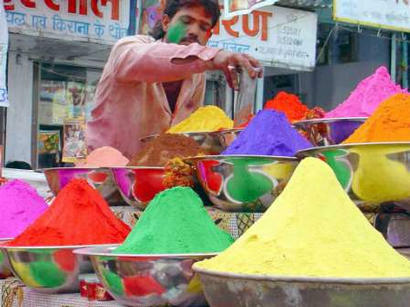 Yahoo has a nice photo of colored powders, ready for the Holi festival. Stephen Dean had a beautiful video from the festival at Henry Urbach in 2001. Published on March 17, 2003 6:08 PM.